Have you ever wondered why your caramel brown hair ends up being orange, or your ash blonde turns yellowish within a few months? This discoloration is generally referred to as brassy hair. If you have colored your dark hair to a lighter shade, brassiness is a common problem. There are two types of melanin that give hair its color: Pheomelanin and Eumelanin. Pheomelanin is giving hair its red and orange color. Eumelanin gives black and brown color and determines how dark your hair is. Both pheomelanin and eumeanin are present in all humans, only in different quantities and ratios. So when you look at a person’s hair color, it’s basically a combination of all contributing pigments in each hair strand. For example, Asians have more concentration of brown and black eumelanin and less pheomelanin. When you undergo hair coloring, black eumelanin are the first ones to change color because they are the least stable. Pheomelanin is more stable than black eumelanin that’s why for dark hair, reddish hues comes out when you lighten hair. However, after hair coloring, pheomelanin slowly continues to break down which causes hair to have reddish tinge, which may turn orange, then yellow. This phenomenon contributes to brassy hair. The problem with chlorine damage is that it doesn’t stop right after you step out of the pool. When chlorine oxidizes the hair, your hair becomes like a magnet for foreign elements. This makes your hair a favorite binding site for minerals which can also cause hair discoloration. Read on for water hardness. Hardness is the measure of the quantity of minerals in water, particularly calcium and magnesium. Other minerals can also be present in water like iron, zinc and copper. Water hardness may not be a concern of healthy hair but studies have shown that color treated hair absorbs more minerals from water than healthy hair . Deposited minerals in hair can cause slight discoloration. Salt from seawater can dehydrate your hair in a process called osmosis. The science is explained brilliantly by hairmomentum. This process weakens the protective barrier of your hair, leaving it dry. Dry colored hair is more susceptible to being turning brassy. UV from the sun degrades your natural pigment. Avoid exposing your hair to too much sunlight where possible. Chlorine water plus UV from sun is a perfect combination for brassy hair. Trace minerals from chlorinated water can accelerate the UV damage caused by sunlight. Washing hair with shampoo too often can strip off pigments in your color treated hair which could reveal the naturally occurring orange and yellow undertones. Here’s what you can do: dry shampoo. Dry shampoo contains either alcohol or starch that binds with the oil in your hair, keeping it fresh and less greasy. This does not, however, replace traditional wet shampoo but at least it will keep you fresh until your next wash.
Too much heat from hair blowers and hair iron can lighten hair. This has been shown in a study where hair appeared brighter after 30 repeated cycle of blow drying . Toners are products that correct the undertone of a hair color. They can vary from brown to light purple. Hair toners that have blue or purple pigment in them cancels out yellow and orange hair undertones. Notice in the color wheel that purple and blue are directly opposite to yellow and orange respectively. “In a way, toners are also hair dye but only control the tonality of hair. Regular hair color lifts your hair level to a lighter shade and deposits color at the same time. On the other hand, toners only deposits pigment.”, says Ljay. So if you have pre-lightened your but you want to get rid of yellow or orange tones, toners are the way to go. How do I choose the right toner for brassy hair? “If you want to get rid of brassy color, toners that says ash on the labels are effective in removing orange and yellow tones”. There are several brands of toners available and they vary in shade so be sure to read the labels. For example, Wella has a variety of toners to achieve different shades of blondes. Below is a guide from Wella’s website on their available toners. Many Salons in the Philippines carry these products and you can buy it from them. You can definitely look it up online too. There are many local sellers in Shopee. DIY HAIR GEEK, A local online-based shop, is also selling a wide range hair color products, including toners. They carry Wella products too. Mix toner and the developer as instructed in product packaging. Toners usually come with the developer. For home use, developer used range from 10 volume to 20 volume. “You can use 10 to 20 volumes at home. For higher volume developers, it should be done by a professional. I don’t not recommend 50 volume toners even for professional use as they can be very damaging”, says Ljay. Shampoo hair then apply toner. Allow product to process on the time indicated by product manufacturer. Rinse out toner and apply deep conditioning product. No need to shampoo hair. What can I expect after using hair toners? Remember that toners only correct or neutralize brassy hair by depositing pigments, and do not lift your hair color. “Professional hair stylists use hair level to determine one’s hair color. Level 1 black and level 10 being the blondest.” It basically a measure of how light your hair is. “In each hair level, there is an underlying pigment in every hair strand. Levels 1 to 6 is red, 7 is red orange, 8 is orange, 9 is yellow and 10 is pale yellow.”, Ljay explains. “Imagine toners are Crayola; your hair is the paper. In a white paper, the color of the crayon stays true to its color. When you draw it on a dark paper, you barely see its color but you can see its tone.” Hence, result depends on your undertones and how light is your hair prior to toning. Eventually, toners will strip off depending on the elements you expose your hair to. Ljay recommends using purple shampoo and conditioners to keep the brass away. 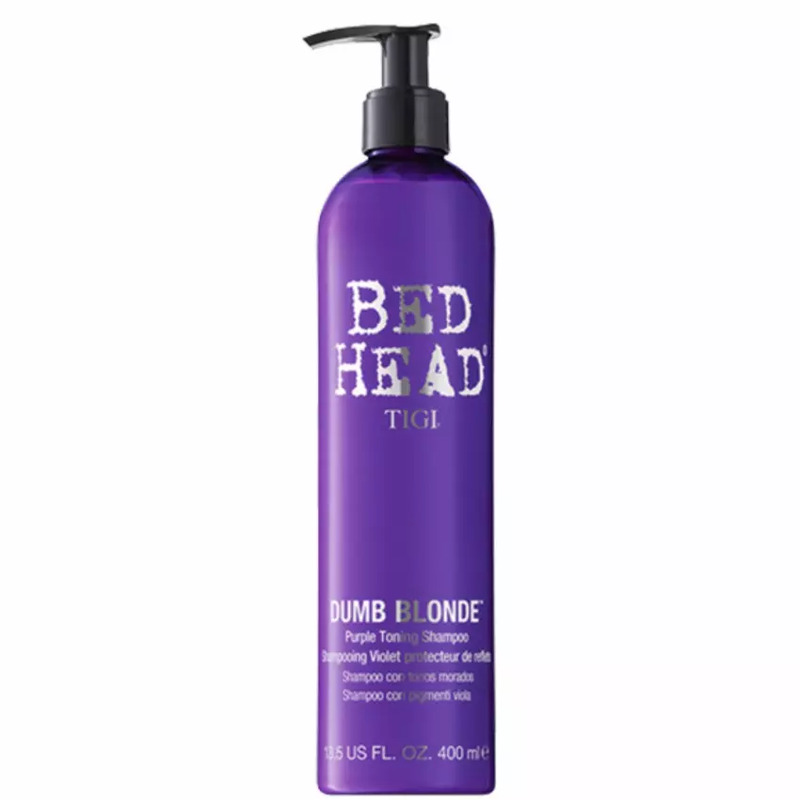 Purple shampoo is basically shampoo with purple pigment in it to neutralize the brassiness. If yellow tones and orange tones are not that strong, you can skip the toner and use purple shampoo instead. Use it once or twice a week. However, if you have toned your hair, purple shampoo is your best friend. “When my hair was white blonde, I toned it using Wella toner and use purple shampoo to keep the brass way”, says Ljay. “It depends with every person. Do you wash your hair often? Do you use sulfate free shampoo? Is your hair going to be exposed to chlorine or salt water? For me, I recommend my clients to get their hair toned every 2 months since by this time, toners will noticeably fade”, says Ljay. Therefore the more you expose your hair in these conditions, the sooner you’ll have to tone your hair. What if I want to achieve a specific tone ? I want ashy caramel brown. Honestly, I am not the right person to help you with that. You can definitely do your own research if you want to succeed doing this at home. This is definitely the part where you need to seek help of professionals like Ljay. Hairstylists, with their education and years of experience, have gained knowledge and developed skills in performing hair analysis. From this, they can determine the right colors to be mixed and be deposited to achieve your #hairgoals. Nangko H (2000) Hair Discoloration of Japanese elite swimmers, Journal of Dermatology, 27(10):625-34. SMART KE (2009) Copper and calcium uptake in colored hair, Journal of Cosmetic Science, May-Jun;60(3):337-45. Yoonhee Lee t al (2011) Hair Shaft Damage from Heat and Drying Time of Hair Dryer, Annals of Dermatology, 23(4): 455–462.